Based in Tredegar, the birthplace of the NHS, Nordic Care has been delivering high quality independent living solutions to the NHS, Local Authorities, Carers and Individuals alike, for over 15 years. 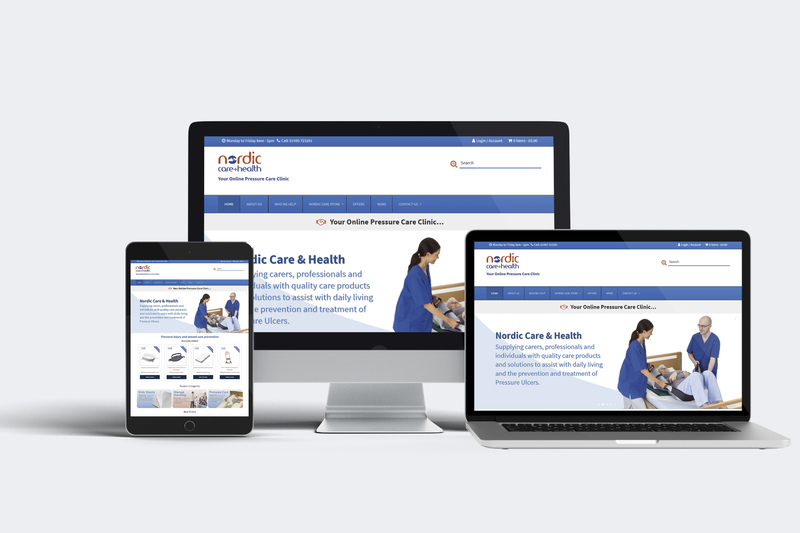 Nordic Care approached Orangedrop Design to build a custom E-Commerce store to fulfil their specific requirement of making products available to trade, local authorities and general customers. To produce a site which is easy to navigate and bold enough for older individuals that may be searching for care products. The website required 2 different customer login portals with different information being relayed to each. When logged in as a trade customer, the system should discount all products by a percentage mark. 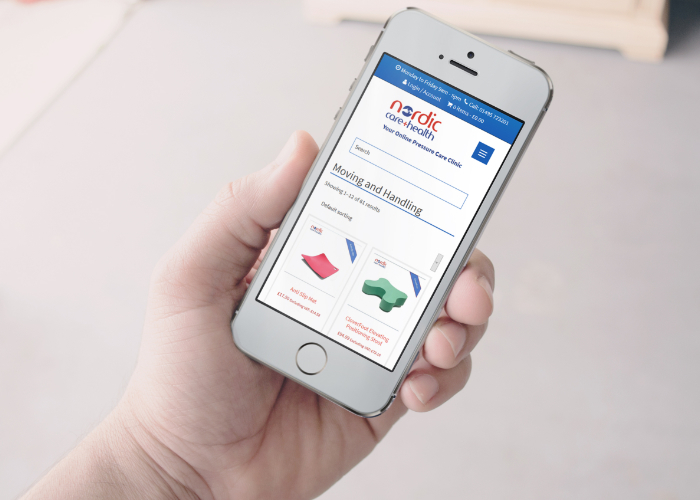 We initially began work by assisting Nordic Care to migrate their existing product database over to the new system. Nordic Care update their product range frequently and needed to be able to manage this internally. 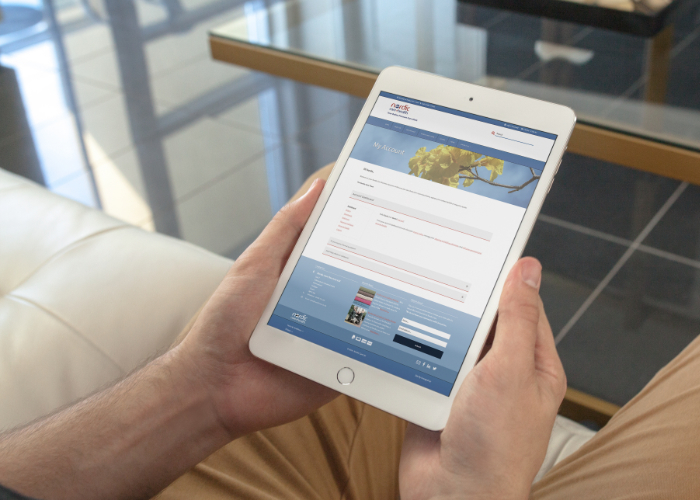 The system has several integrated features such as EU VAT calculations / exemption as well as a trade account proposal request forms. Nordic Care continue to grow in stature and are fast cementing their name as the No 1 provider of pressure care relief products in the UK. 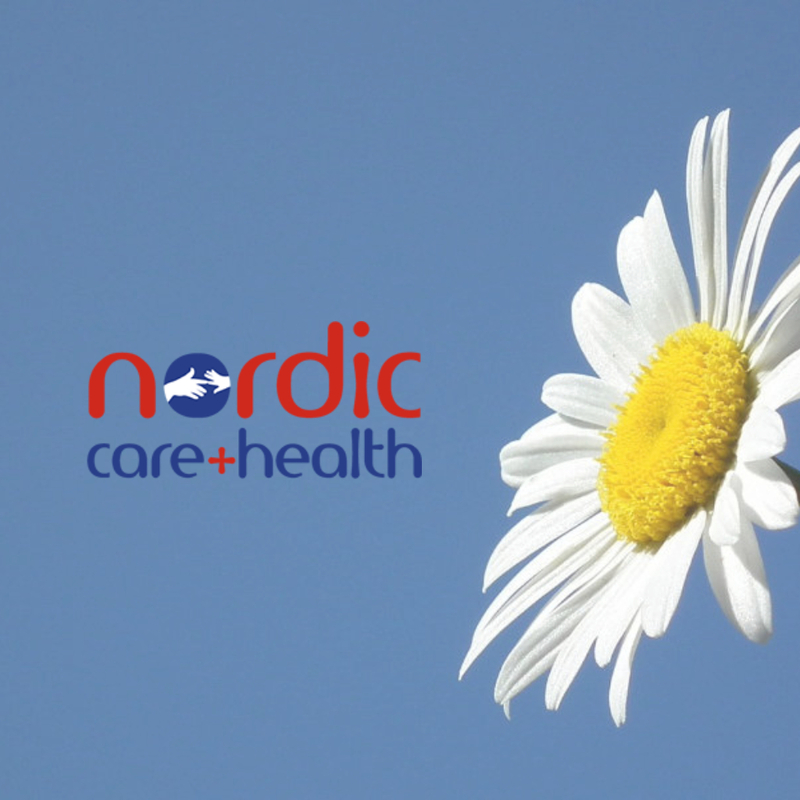 We continue to assist Nordic Care as and when required and you can view the website here.